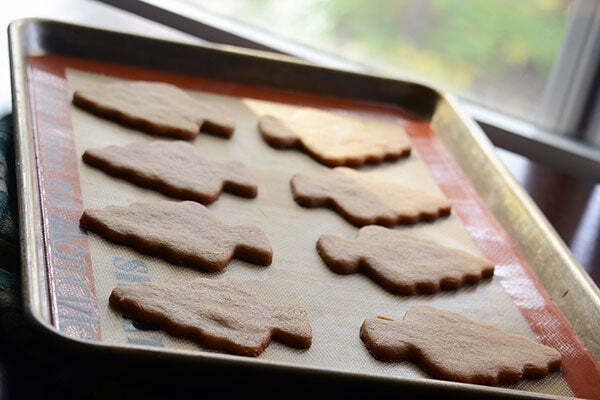 When I think of holiday cookies, cut-outs always pop into my head first. My mom has been making regular cut-outs for as many Christmases as I can remember and they’ve always been a favorite. 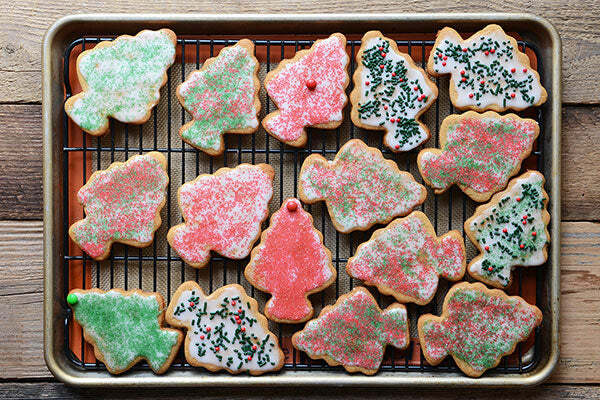 Maybe it’s the cut shapes or the pretty decorations; I don’t know, but there’s just something about this kind of cookie that is so festive. 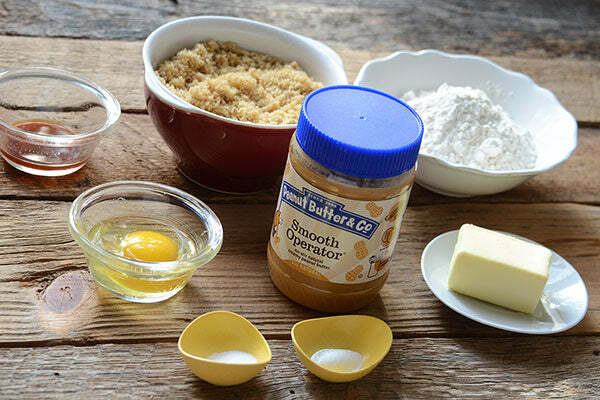 Here I took cut-outs to the next level with a peanut butter makeover! These cookies are crispy outside, chewy inside, and bursting with peanut butter flavor. 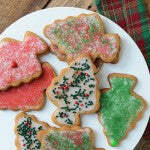 After eating them you might never want a regular cut-out cookie again (which is really saying a lot!). 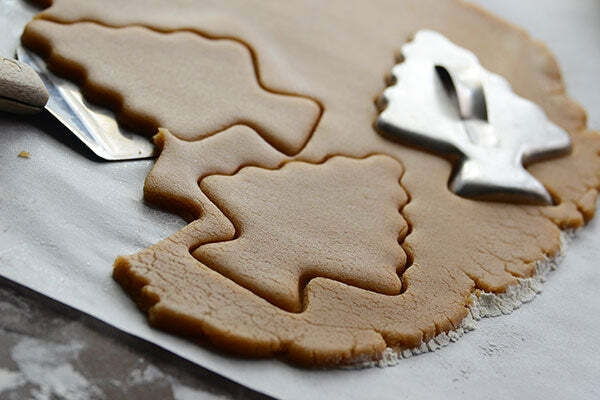 If you’ve never made cut-outs before, don’t worry because the dough is pretty easy to handle; I think once you see how painless they are to make, these might just become your go-to cookie. 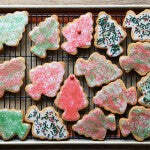 Topped with a simple glaze and colorful sugar or sprinkles, these cookies are perfect for getting into a holiday mood! 1. Preheat the oven to 350°F. 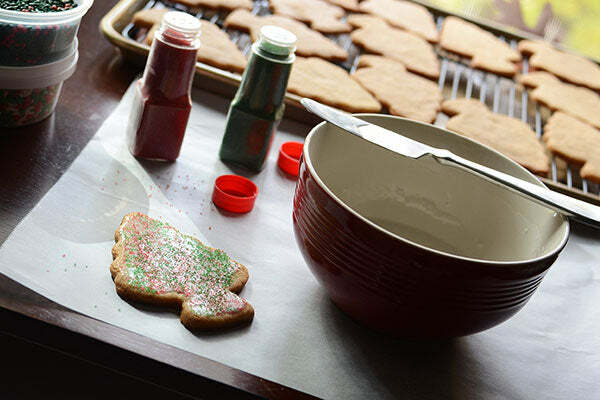 Line 2 large baking sheets with silpat liners or parchment paper. 2. 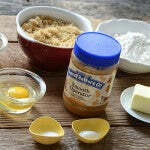 For the cookies, cream together the peanut butter, butter, and sugar, and then stir in the egg and vanilla. 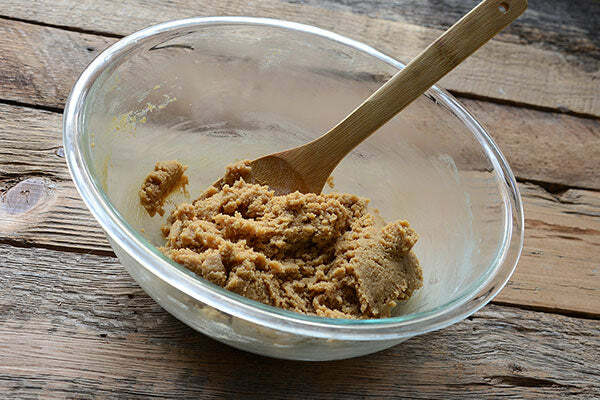 Add the flour, baking powder, and salt, and stir to combine. Knead the dough a couple times to form it into a ball, then flatten it slightly into a disk, wrap it in plastic wrap, and refrigerate 20 minutes. 4. Bake the cookies 1 tray at a time until golden brown, about 9 to 11 minutes. 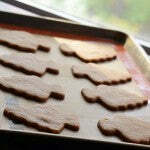 Let the cookies cool for 10 minutes on the tray, and then transfer them to a wire rack to cool completely. 5. 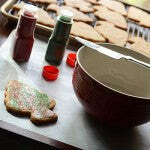 Once the cookies are cool, make the glaze. 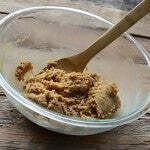 While stirring, gradually add enough water to the powdered sugar so it reaches your desired consistency. 6. 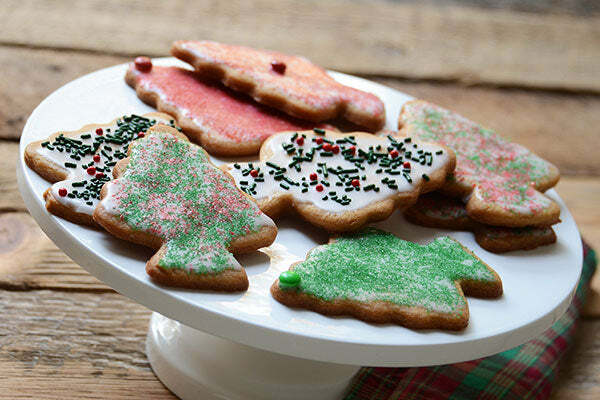 Spread a thin layer of glaze on a cooled cookie and immediately sprinkle on colored sugar or sprinkles; repeat until all the cookies have been glazed and decorated. Let the glaze set before serving. 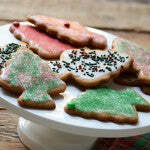 Note: You can store leftover cookies in an airtight container at room temperature for up to 3 days. 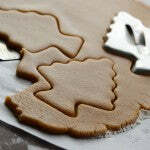 What are your favorite cookie cutter shapes? – The giveaway is open to USA residents only and will run until Monday, December 22nd, 2014 at 11:59 PM EST. – Winner(s) will have until 12/31/14 to claim their prize or we will choose another winner. 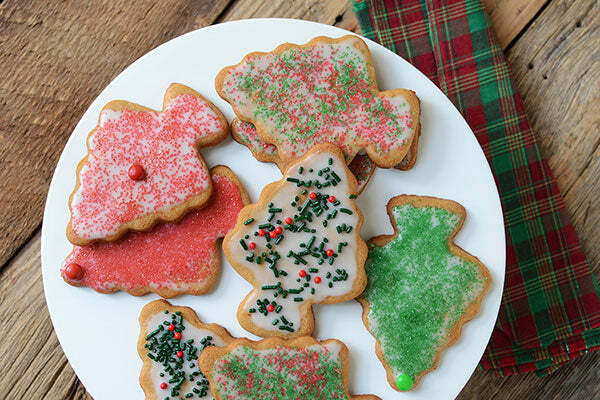 The post Iced Christmas Tree Peanut Butter Cookies appeared first on - Peanut Butter & Co. Recipe Blog.